July of 1975 was the most significant month of the year 1975 to date. 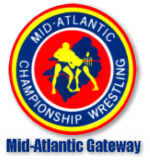 July featured record crowds and gates in several Mid-Atlantic towns, a new title introduced to the area, significant roster movement and the blossoming of one of the greatest feuds in Mid-Atlantic Championship Wrestling history. All in all, July of 1975 was quite a month. The month began with Andre the Giant continuing his swing through the area, which had begun in late June. The Giant’s presence no doubt contributed to record gates in two of the area’s most significant towns. Columbia, South Carolina set a record in its gate receipts for its July 1, 1975 card headlined by a spectacular bout between Andre and Wahoo McDaniel against Ric Flair and Johnny Valentine. Richmond, Virginia set a gate record as well from its super holiday card at the Richmond Coliseum on July 4, 1975 headlined by a 60 minute draw between NWA World Tag Team Champions Gene and Ole Anderson and challengers Wahoo McDaniel and Paul Jones, with a semi-final dream match-up of Andre The Giant against the Super Destroyer. Additionally, Greenville, South Carolina had a sellout crowd for its July 7, 1975 card featuring Andre, Paul Jones and Rufus R. Jones against the Anderson’s and the Super Destroyer. Also early in July, a major new NWA Title found its home in the Mid-Atlantic area. On July 3, 1975, Harley Race defended the United States Heavyweight Championship against Mid-Atlantic Heavyweight Champion Johnny Valentine in the Greensboro Coliseum. After a titanic battle between these two legends, Valentine emerged victorious, and the U.S. Title would become and remain the territory’s prized singles championship for the duration of the promotion. Valentine would wrestle Race in a classic rematch in Greensboro for the U.S. Title on July 26, 1975. In another memorable bout, Valentine again prevailed and the United States Title stayed safely in the Crockett territory. Speaking of Flair, the “Nature Boy” continued to hold onto his Mid-Atlantic TV Title in July, but Paul Jones was starting to close in fast. On July 18th, Flair and Jones had a brutal Lumberjack Match in Richmond for Ric’s TV Title, and Jones came so very close to winning the belt. This led to a climatic rematch in Richmond three weeks later between these two for the Mid-Atlantic TV Title. That same July 18, 1975 card in Richmond saw the one-night return of Blackjack Mulligan for a brutal Texas Death Match against Wahoo McDaniel. Despite being a regular in the WWWF at the time, Blackjack came down I-95 South to try to avenge a beating he took from Wahoo in May in Richmond during an Indian Strap Match. Mulligan said an Indian Strap Match was thought up by savages, and that a Texas Death Match was where real men settled their differences. In his promo for the match, Blackjack asked if Wahoo was “man enough” to face him in a Texas Death Match. The answer was a resounding “Yes,” as after quite a battle Wahoo defeated Mulligan once again. The NWA World Heavyweight Championship was not actively defended in the area in July, as Champion Jack Brisco made only one defense during the month---that being against Wahoo McDaniel in Asheville, North Carolina on July 20, 1975. But the NWA World Tag Team Titles could not have been more actively defended during the month of July. In addition to the Richmond 60 minute draw noted earlier, the champion Anderson Brothers wrestled Paul Jones and Wahoo McDaniel to several other 60 minute time-limit draws across the area in memorable matches during July. Then, in Raleigh on July 22nd, the time limit between these four was extended to 90 minutes! The 90 minute battles between these two amazing teams would soon spread around the territory like a summer wildfire out of control! And it was! July produced some significant roster movement in the area. Sonny King, who was a Main Event performer for the previous year, left the area in early July. King’s last match in the area was against Mr. Fuji in Anderson, South Carolina on July 10, 1975. Coincidentally, King’s main rival for much of his Mid-Atlantic stay, the Super Destroyer, also saw the month of July spell the effective end of his stay in the Mid-Atlantic area after nearly two years. Unable to agree with the promotion on his role and direction in the Company, the Super D. and Mid-Atlantic Championship Wrestling parted ways forever on July 16, 1975. The Super Destroyer would finish out his remaining dates with the promotion through August 1, 1975. Three noteworthy additions entered the area in July of 1975. Muscleman Tony White of Roanoke, Virginia made his debut on July 12, 1975 in Spartanburg, South Carolina. Called Tony Atlas by the promotion, Atlas amazed everyone with his tremendous bodybuilding physique at the outset, and settled into a solid mid card role for the rest of the year. After a lengthy absence, the Missouri Mauler Larry Hamilton returned to the area on July 21st in Greenville. Almost immediately, the Mauler teamed up with Professor Boris Malenko---their first match together was on the Mid-Atlantic television taping on July 23rd from the WRAL TV studios in Raleigh. Malenko and Mauler would be a team to be reckoned with for the remainder of 1975. Another veteran returning to the area in July was Tim Woods. Not wearing his “Mr. Wrestling” hood, Woods returned on July 26th in Greensboro against the mammoth Jerry Blackwell. Woods came back to Mid-Atlantic Wrestling because he was bent on revenge against Johnny Valentine for breaking his leg some time back. Woods was intent on paying Valentine back, and their feud against each other would begin in earnest during the upcoming month of August 1975. Mid-Atlantic Championship Wrestling in August of 1975 was shaping up to be as hot as the weather was outside! 1. TONY ATLAS---The strongman from Roanoke, Virginia impressed everybody with his amazing physique and strength. But could the youngster stand up against all the experience and talent in the area? 2. MISSOURI MAULER---The Mauler came back to the territory with a vengeance, and looked better than ever. He quickly teamed with another recent returnee to the area, Professor Boris Malenko, to form an impressive tag team combination. 3. KEN PATERA---Patera continued his steady climb to the top of the Mid-Atlantic rankings. Combining amazing strength and growing experience, Patera rightfully received some of the first shots at Johnny Valentine’s new United States Heavyweight Championship. 1. SONNY KING---Sonny King wins this award two months running! After a strong stint in the area for a year, King left the territory for good in early July. King’s best moments in the area were likely in the beginning of his run in 1974, rather than at the end of it in 1975. 2. SUPER DESTROYER---Unhappy over how he was being used, the Super D. and the promotion agreed to part ways in July. An inglorious way for such a great run to end. However, strangely enough, it would get even worse for the Super Destroyer after he left the area! 3. ART NELSON---A big star with the promotion in the early 70s, Nelson’s slide down the area’s ladder continued in July. His solid tag team partnership with Mr. Fuji was also nearing its end.